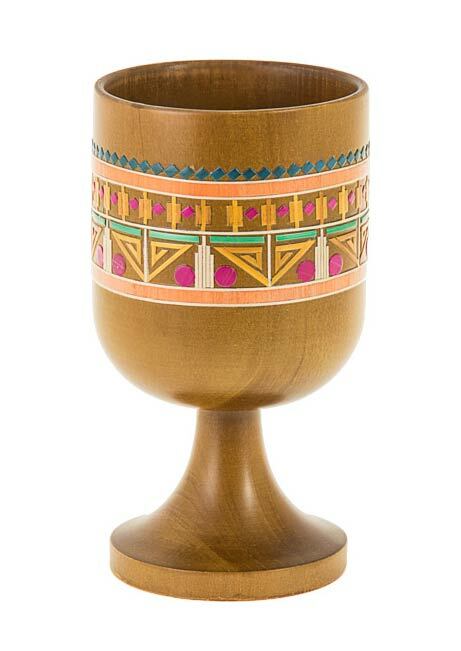 Light Wood Elijahs Cup decorated with colorful straws. Made in Colombia. size 6" High.